Meyrick Buchanan, nicknamed ‘Mud’ for reasons unknown to the writer, has been ever so keen to get a ‘big one’ and made no mistakes about doing so in the 1st XI on Saturday. Opening and batting through the innings, ‘Mud’ was at his creative best and made his highest Premier Cricket score finishing unbeaten on 154 scored off 155 balls, striking 15 fours and three 6s. Blake Thomson (60) made his second half-century of the season and with Sam Harper (47) and Matthew Brown (30 n.o.) both making handy contributions, the Demons amassed an imposing 2/304. The bowling group had no trouble defending the target with Kieran Elliott (3/36) and Brad Melville (3/39) being the major wicket takers, helping dismiss Casey-South Melbourne for 189 and securing a bonus point. Our women’s 1sts also had a strong win, bowling Carlton-Brunswick out for 131 thanks to the spinning efforts of Ella Hayward (4/21) and Amy Yates (3/23) as well opening bowler Tegan Orwin’s three wickets. Amy (42) doubled up at the top of the batting order and Teagan Parker (36 n.o.) saw her team to a bonus point victory. The 2nds also prevailed. Captain Clem Ryan-Fuller (54) led the way opening up with another half century. Shania McKinnon (46) and Annecy Homberg (35 n.o.) also played key roles in getting us to 6/225. Opening bowler Jordan Watson (3 for 15 off 7 overs) took three early wickets and with Eloise Maxa grabbing two wickets, the Demons scored a 45-run win. The 3rds are being challenged by injury and unavailability throughout the grades but put in a good account of themselves. Chasing 2/126 in their T20, Rosia Zappia made 35 n.o. in her first game for the club where we fell just 23 short. 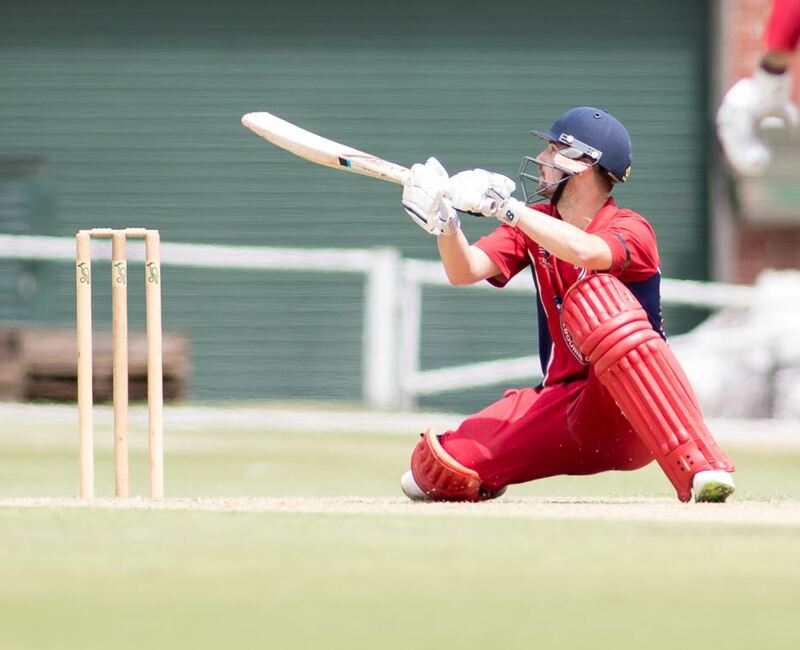 The men’s teams also have a number of players out through state cricket, injury or illness and school cricket unavailability but managed to win in three of the four grades. Another absolute highlight was in the 4th XI where Shane Giese (105), better known for his bowling prowess, grasped the opportunity to open the batting in their one-day match and made his first ton for the Demons, sailing well past his previous top score of 66 made in the 3rd XI 11 seasons ago. Congratulations ‘Gieser’! Skipper Josh Benson (66 n.o.) pushed the score to 9/234, a target easily defended with Nik Sirko and Daniel Hasenkam being the multiple wicket takers. The 3rds continued on their two-day match having achieved 1st innings points just before stumps last week. In the quest for outright points, busy batting lead by Chris Hasenkam (72 n.o.) allowed a declaration with a 103 run first innings lead. In almost perfect timing, they were able to bowl the Swans out for 102 with around 20 minutes play remaining, 10 of which would have been lost if an innings changeover was required. The first six wickets went to six different bowlers before Trent Thompson (2/8) doubled up, leaving the way for Chris to show his all-round talents by taking the last three for just seven runs. The 2nd XI posted what appeared to be a reasonably challenging 4/260, with Demon recruits Chris Anderson (80) and Sean Griffin (51 n.o, off 22 balls, five 4s and three 6s) doing extremely well after Charles Lill (47) opened up. Unfortunately the Swans too found the batting conditions to their liking and passed us four down in the 45th. Our Club XI Div 3 team (MCC 2) finally got onto the park however neither they nor the Division 2 team (MCC 1) could collect the points. Both teams bowled out the opposition but failed in their respective run chases. In upcoming Premier matches, the women play Dandenong (1sts away) whilst the men’s two-day round is against Fitzroy-Doncaster (1sts also away). The women’s Shield and Club XI teams have the weekend off although the Club XI may play an intra-club game to make up for some lost playing days.